Michele Pirro went back out on the Sepang circuit today, resuming the Ducati Team’s development programme in preparation for the official IRTA test that gets underway tomorrow. It was a day off however for Casey Stoner, who spent much of yesterday lapping on the 2015 version of the Desmosedici GP in his new role as test-rider, completing 54 laps. Last night, after the team’s regular technical debrief, it was decided that the Italian should continue with the development work, while Stoner will be back out on track again on one of the next three days of official testing, together with all the other protagonists of the 2016 MotoGP World Championship. 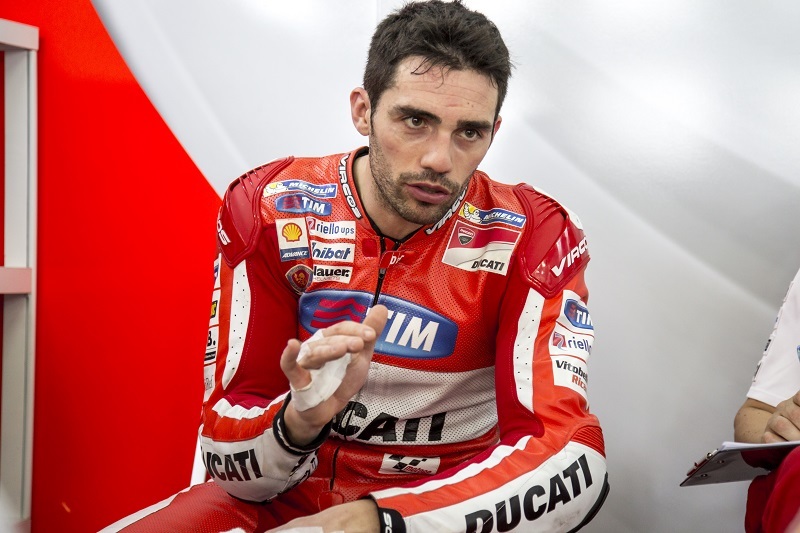 Pirro did almost all of his 43 laps on the 2015 version of the bike, testing several different electronic settings for the unified ‘spec’ software introduced this season. A late-afternoon downpour also allowed him to complete a few laps on Michelin rain tyres. Tomorrow will see the start of IRTA testing and Andrea Iannone and Andrea Dovizioso will be out on track for the first time since the winter break: the two factory Ducati Team riders will have both a 2015-spec and a 2016-spec Desmosedici GP available.